If you’ve got guns in your home, then I’d encourage you to make sure they’re secured so that kids, nosy guests, and burglars aren’t able to get to them. You WILL be held responsible if its determined you were negligent by not security your weapon and someone gets hurt. And, you certainly don’t want something so valuable stolen from you. And please remember that a safe should be just one part of a much broader plan to secure your home which may include preventative measures from the road, to your front door, and into your bedroom. Choosing and implementing just one level of defense is a disservice to your family. Just about any safe you get will keep out numbers 1-3 from the list above (from family to repair men). Granted, your teen may be able to crack your safe given time, research, and willing accomplices. But, the idea of leaving obvious damage on the safe is a substantial deterrent in most cases. And if you want an extra layer of security, you can put a vibration sensor on your safe to let you know when it’s being tampered with. On the other hand, given adequate time and preparation, criminals will be able to defeat any safe. Luckily for us, most burglars are just looking for a quick score and don’t carry around the kinds of tools they would need to open a hardened safe. Pry bars are tough to fit in a back pack. But if the reward is high enough, don’t think they wouldn’t leave your house unmolested and come back with the proper tools at a later date. That’s where a good alarm system can come in handy, drastically reducing the amount of time that a burglar is willing to spend in your home. The attention attracted by blaring alarms and potential calls to the police are risks that most burglars would gladly do without. Don't have a security system? There are lots of new companies breaking the legacy security system molds with no contracts, affordable systems, and smart home technology. 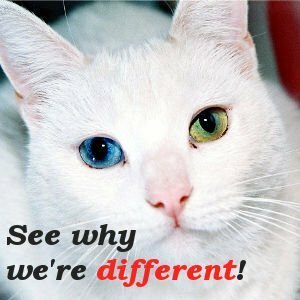 See what systems fit your needs using our comparison tool. To give the cops plenty of time to arrive on the scene, you’ll need a safe that puts up a good fight first. Safes are generally designed for fire and burglary protection (often both). Just make sure that if you really need one, the safe you purchase addresses that need. You don’t want to end up with a safe that keeps your guns and papers from burning in a fire and then have it easily compromised by a burglar with a screwdriver or crow bar. Generally, the two ratings go hand in hand, but that’s not always the case. Some safes designed for guns allow much higher internal temperatures during a fire and would be unsuitable for storing documents without additional protection. Residential Security Container rating (RSC) – net working time of five minutes, on all sides, with a range of tools. When looking at these times, keep in mind that when they’re tested, the safe crackers get to study the safe’s design and engineering drawings before planning the attack and starting the timer. So unless your burglars have practice cracking safes, it will likely take them longer than the UL listed times. But, it’s a good, standard measure for how tough a safe is to get into via traditional subterfuge. The following are not the only options, but will give you an idea of the price range that you will pay for protection at the levels above. UL also certifies and tests safes for fire resistance as well. Again, the ratings convey how long and the intensity of fire that can be withstood by the safe. These tests also include testing for explosions during the fire and impact tests (like a collapsing house). Then, there are also tests for impact that reheat the safe after the impact test to make sure it is still secure. Learn something? Say thanks by sharing this article. Many large and heavy safes don’t even meet the standards for a Residential Security Container, stipulating effectiveness for 5 minutes of attack. You want your safe to last more than 5 minutes right? Safes used in commercial businesses with lots of money at stake may only withstand attacks of up to 30 minutes due to the high costs (purchase and installation) of a large and secure safe. All that should let you know that it’s critical to have an alarm and get the police on the way. Because with sufficient time, your safe WILL be opened. Make sure you read through the marketing hype! A safe that is “tested to UL TL-15” doesn’t mean that the safe PASSED a TL-15 level test. After all, it could have been tested and failed. The documentation needs to say that the safe earned the certification level or passed testing. Yikes! Hope your friends don't have this safe. Hopefully, the previous discussion also convinced you that hiding your safe can be just as important as how resilient to attack it is. Any time that is wasted looking for the safe while the cops are on the way makes it more likely that you get to keep your stuff. Each of these will make it tougher to roll the safe out of the house to a waiting vehicle. From there, it’s off to a quieter location to break into it. Also make sure you properly attach the safe to the floor or walls, following the manufacturer’s instructions. Otherwise, a burglar may be able to get to more vulnerable sides of the safe like the bottom and back of it. Another thing you should carefully consider is the size of the safe. An unfortunate reality is that many people buy a safe that is sized for their current needs. Then as they see the value in storing more and more valuables in the safe, space that was once set aside for guns becomes filled with important documents and jewelry. Or, the gun collection simply grows over time, and you end up storing weapons outside the safe. Obviously, that defeats much of the purpose of having one in the first place. Thankfully, there are some gun safe accessories you can install to help you out with that problem, too! Of course, there are a couple of issues working against buying a monster safe as well. For one, it’s tough to find a place to put it. With a very heavy safe, you half to considering the load bearing ability of the location you’re putting the safe too. It may not go crashing through the floor like some cartoon, but a large safe can certainly put stress on floor members and cause cracks over time. Second, it’ll be a pain to move a big safe. With the mobility of the work force these days, people just don’t stay in the same jobs as long as they used to. So chances are, you’re going to end up moving the safe or trying to find someone to buy it with the house that will value it as highly as you do. Both are not great prospects. So, you may want to consider a decoy safe for your less valuable guns and another stronger safe for the real treasures that’s really hidden away. When the burglar finds the first stash, he may hit it and not even continue the search, assuming that he’s cleaned you out. If you’re looking at the protection you get with a safe and the cost of them, you may wonder if it’s all worth it. For a little more money, you may be able to install a tornado shelter or a safe room and achieve many of the same things or more. You just have to consider what your needs will be. You may be caught off guard by the insurance comment, but if your stash doesn’t include things that you can’t do without, then insurance can cover the replacement. It’s much more suitable for those that move often and don’t want the hassle of relocating a large safe. Just keep in mind that you will likely need an additional policy rider to cover your guns and valuables. And, don’t count on it being cheap either. When you add up the cost of truly covering all of those valuables, spending $5000 on a safe that you’ll keep for 30 years starts to look more reasonable. With the ever-expanding use of electronics in our lives, it’s only natural for many safes to go the same way. So you’ll see many electronic keypads replacing old combination spin locks. But, there’s a reason that spin locks are still used to secure the most critical information at the NSA. A 9 digit keypad needs a really long combo to match up to a 99 digit spin lock which is practically impossible to crack via brute force. Now granted, good electronics can almost eliminate brute force attacks with timed lock-outs on incorrect attempts. But, it’s something to be aware of. On the other hand, a spin lock takes a long time to get into, and speed could be important if you only own one safe and not another quick-access unit for emergencies. So, I’ll be the first to admit that sliding my finger over my safe and the door popping open sounds like a pretty attractive proposition. After all, I can’t forget my fingerprint when I roll out of bed after being woken up to the sound of an alarm going off. And given the advances in technology, the cost of safes that scan your fingerprint have put them within reach of the average Joe. Unfortunately, the price you pay for being cool may be time, one of the most precious commodities during a home invasion. When you put your finger on the scanner, the sensor reads the high and low points on your fingerprint and compare the reading to the scans that it has saved in memory internally. The longer the scan takes, the more accurate the result of the scan will be. But, as you can imagine, a key factor is the speed of getting your gun out of the safe. So, the engineers that design the safes and software in them have to make a tradeoff. 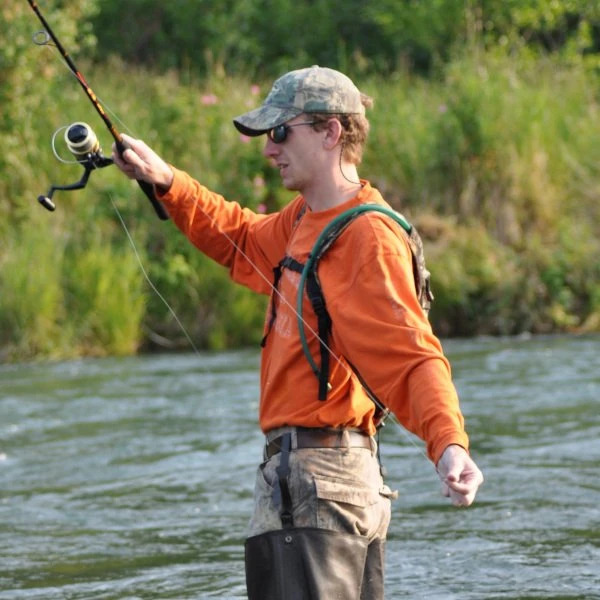 If you give up accuracy, you can get a faster response. But, if you go too fast, you may not let the owner open his own safe without multiple tries with really even pressure across the sensor. It’s apparent that the technology has been improving quite a bit. First law enforcement started using scanners to replace ink pads and then you started seeing biometric scanners at the DMV and in consumer products. Nowadays, you may even have a laptop with a fingerprint reader on it. If you have used these, you’ll know first-hand that they can be sensitive to where you place your finger, how hard you press down on the sensor, and what other dirt and oils may be on the finger that you use. The best safes today have very consistent operation in a variety of situations. I’ve read quite a few positive reviews of the Barska Biometric Safe. It’s priced pretty reasonably at $170. Another safe that really stands out if you’re willing to pay more for it is the GunBox Biometric Hand Gun Safe . You can just use a fingerprint to open it, or you can use an RFID bracelet to open it, or a combination of the two. The RFID device will be more reliable and requires less precision than the fingerprint. You just have to get over yourself and wear a bracelet to bed! This GunBox safe sends you an alert on your phone if somebody tampers with your safe. Follow the link and watch the video on Amazon to see how it works. So What’s the big deal with fingerprint gun safes? TIME – The Barska safe that I mentioned above takes about 2 seconds to open. By my estimation, that’s twice as long as it takes me to get into my keypad safe. SECURITY – Since the fingerprint scanners on these safes are on the lower end of those available (unless you’re talking about a high-end safe), they are going to be easier to spoof. If your teen can get inspiration from a Mythbusters ™ episode, lift your fingerprints off of some object in your house, and break into your safe in 20 minutes, then it really isn’t doing you a lot of good. With a combination safe, the time that it would take to open it by going through all of the combinations just isn’t practical. Now, I’m not saying that you can’t find a good fingerprint gun safe that is accurate, quick, and foils attempts to trick it. What I am saying is that for the same cost as a higher-end biometric safe, you can get a much more solid combination safe. If you have had experiences with a fingerprint gun safe that led you to a different conclusion, I’d love to hear about it. Just drop me a line below. 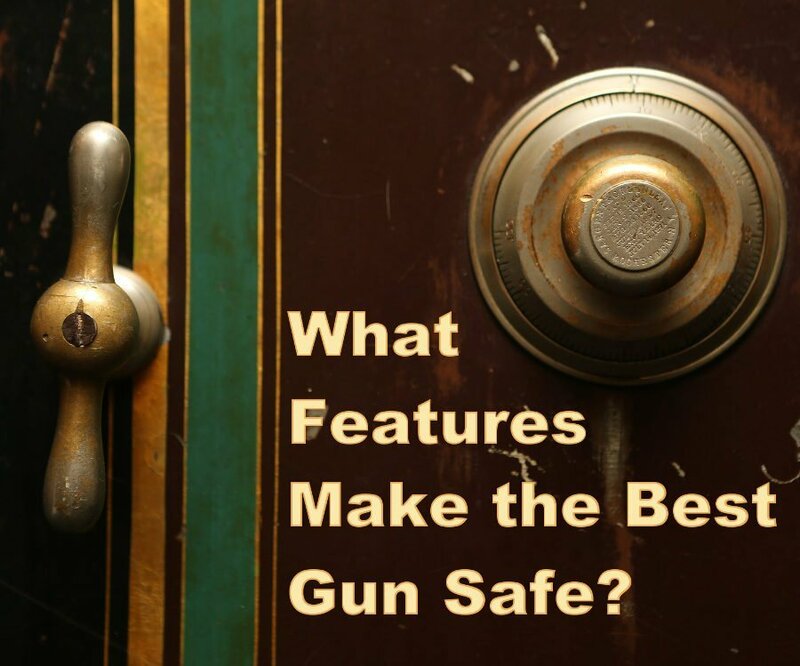 So What Features Make the Best Gun Safe? You may even want to consider the speed that you can get into it if you’re shopping for a bedside model. We covered that in detail in our review of the current market of fingerprint gun safes. When you’re shopping for gun safes, you may be taken back by the cost of a good one. But keep in mind, it’s something that will last forever and that you can even hand down to your children as well. So, it’s not like you’re throwing money away. The value will still be there in 20 years if you or your children want to sell it. Do you have a safe you’d like to recommend? Let us know in the comments below. Well written article! No safe is unbreakable that’s correct, but they can be stollen as a whole which might be a worse loose of value! That’s definitely true, making sure law enforcement is on the way is just as critical as hiding your safe and securing it so that the criminals are still working on getting your stuff when the cops arrive.